February, a LOVE month, HEART month, it's Valentine's Day month. I want to share this Valentine's Day themed Sweet 16th Exploding Box Invitation Jinky's Crafts designed for one of our clients. 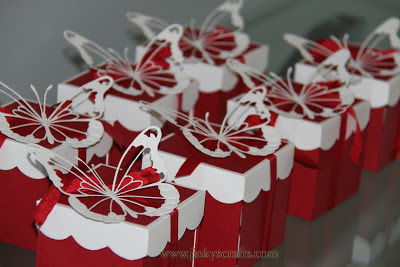 These Valentine's Day Theme Invitations exude romance, elegance and love. The red and white color combination looks really great. This box explodes when your guest opens it. 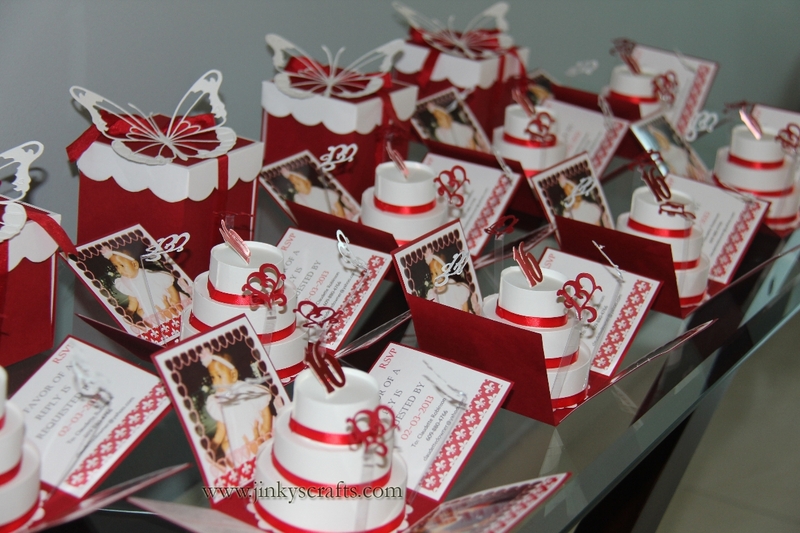 And it reveals 4 panels where you party invitation wordings or photos are. In the middle is a 3-tier cake with shiny satin ribbon trimming. 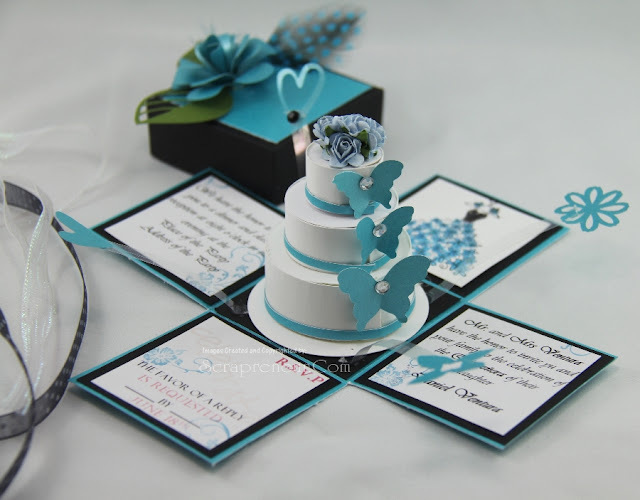 There's a #16 cut-out that serves as your cake topper and heart cut-out pop-up floaties that dance and surrounds your cake. 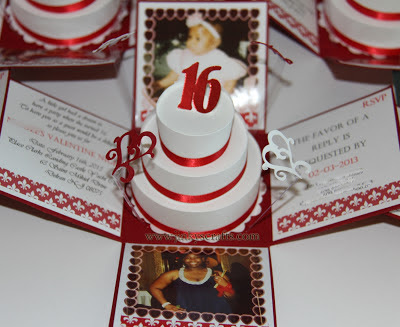 This Red and White Sweet 16 invitation design is very unique. With the intricate details, your guests will see you are setting the tone of your Sweet16 party. 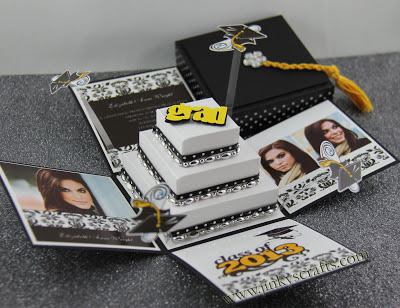 This invitation is designed for Sweet 16, but it would look great for any teen party theme. 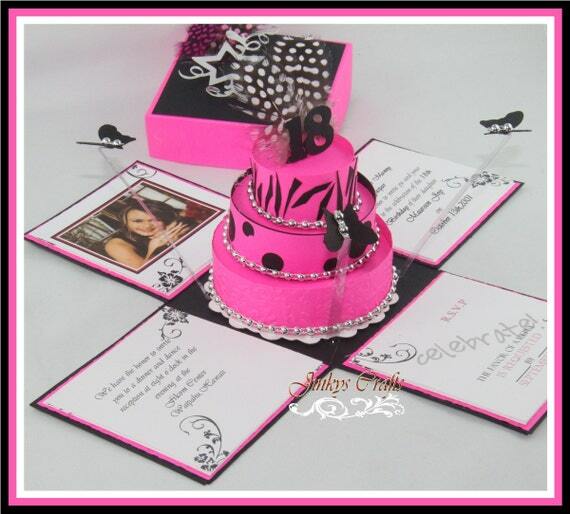 Like Bat Mitzvah Invitation, Mis Quince/ Quinceañera Invitaciones/ Recordatorios, 18th Birthday/debut. Of course, this would also be great for Weddings, Baby Shower, Graduation... You name it. 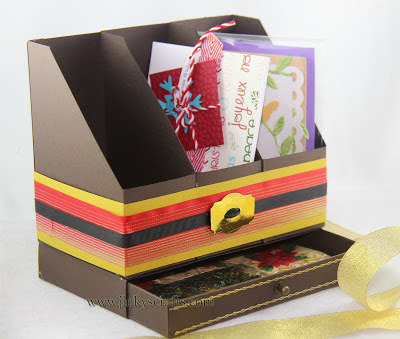 Before you go, we have a New Year Freebie gift for you here @ Jinky's Crafts. We all know that we are in the mood for organizing after New Year's Day. So here's a File Folder Organizer w/ Drawer Tutorial for you. Free. Download Here for the Step-by-Step DIY organizer tutorial.